Whether you admit it or not, the bathroom is a place of solace – a place where people introspect while showering and even make huge life decisions. Relatable right? But a bathroom which is not pleasing, and comforting is no fun. The day you find yourself bailing out on long peaceful baths for no reason, is the day you decide to get bathroom renovations. 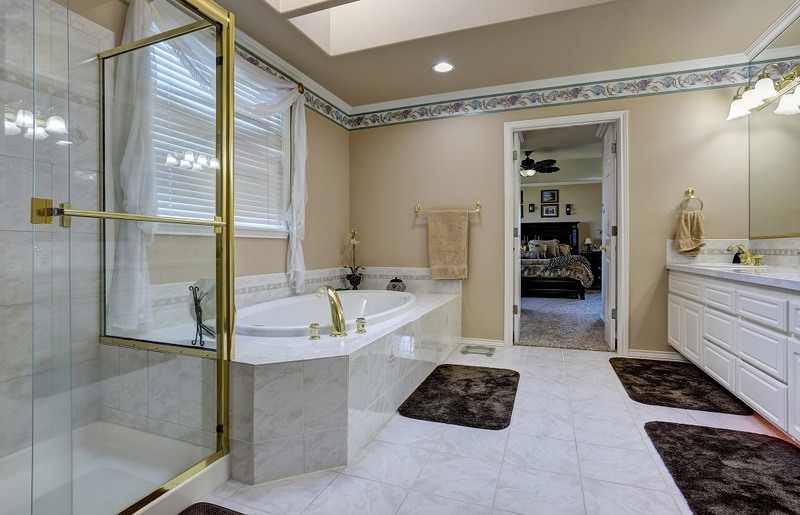 Personally, I believe that bathrooms should be as luxurious as possible and most people who love leisurely baths and a comfortable toilet seat would agree. But, for people who have tiny bathroom spaces, this luxury seems to be far-fetched. A cramped powder room is fine, a small guest bathroom is acceptable, but a small master bathroom is downright inconvenient. There are some neat tricks of bathroom renovation that can help you make the best out of the little space available and thereby transform a small and inconvenient master bath into a small yet luxurious master bath. Most of you would be thinking that this is impossible. Wait till you reach the end of this article to conclude this. I have listed down space-saving tricks that can work miracles in transforming your bathroom. So, do not start your bathroom renovations without reading this. Shrink the sink: Traditional shrinks are wide and occupy more space. But, if you observe the usage of a sink, you will realize that the sink does not have to be wide necessarily to be functional and attractive. There are pedestal and wall mount sink available in the market that are narrower than the traditional ones. These are short and stubby but work well in smaller spaces and are attractive as well. 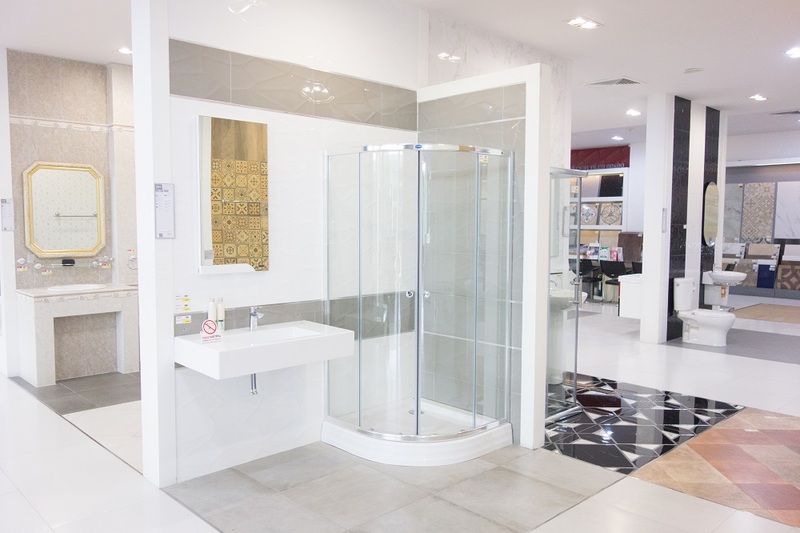 A sliding shower door: When you have a limitation of space in your bathroom, a shower enclosure is something that you would be planning to avoid installing during bathroom renovations. But, I have a better idea. Get a shower enclosure with sliding glass doors. You can choose the glass to be opaque or transparent according to your choice. But, the best part about having sliding doors is that you can save the space required for swinging doors to open and close. Also, you do not feel the space to be cramped when you keep the sliding doors open. Also, another option, in this case, is getting a shower curtain. Keep the curtain rod as high as possible, thereby giving an illusion of a taller bathroom, making it feel more spacious. The space under your sink: It is highly recommended that you install a wall-mounted sink in a small bathroom. This will leave a lot of space under the sink that can be used as a storage shelf. You can get a cabinet or shelves constructed underneath the sink and use it to house your spare toiletries, towels, and other needful things. This will not only save space but also make the bathroom more comfortable with all your things at an arm’s length from you. Prioritise lighting: Lighting is generally given lesser importance than it should be given while planning the bathroom renovation. But what you need to keep in mind is that ample lighting makes a place look more spacious. So, in small bathrooms where you are trying your best to make the place not appear cramped, you should try adding soulful warmth to the place using suitable lighting fixtures. Use lights in such a way that it plays with the wall colours to create an illusion of more space than the actually available space. This will make the bathroom feel comfortable. These tricks to use during bathroom renovation may sound too simple to actually have any effect, but just wait and watch how efficiently your tiny bathroom space is transformed into a luxurious one.